As long as there have been states and armies, there have been massacres. In previous centuries, these were openly acknowledged for what they were: acts of terrorism against those who resisted their rulers or their conquerors, or those who seemed likely to resist in the future. Terrorism was understood by all to be what a state did to keep subjugated populations in line, at home or abroad. In the modern era, however, rulers of the major colonial powers were confronted by working class struggles in their own countries, including struggles for democracy, at the same time as they were faced with the need to put down the resistance of colonized peoples against their colonizers. Democracy, even in its limited parliamentary form, was seen as a terrible threat. The British ruling class never forgot that Parliament had tried and executed the king, Charles I, in 1649. The French never forgot that the Revolution had beheaded Louis XI in 1793. In this new and dangerous world, shaping public opinion became increasingly important for those in power. If the people were going to be allowed to vote, then they had to be made to believe in the legitimacy of the existing social system, and ideology and propaganda are more effective tools for doing this than naked force. In the context of colonialism, the public at home, and the officials and soldiers who imposed their rule on the colonies, needed to be told that what they were doing, no matter how brutal, was done in the interests of defending Western values and Western civilization. In the colonies themselves, it was desirable to persuade the elites, at least, that they too would benefit from colonial rule, which, after all, was bringing them the benefits of Western civilization. The problem with propaganda, however, is that it is often starkly at odds with reality. When people don’t buy into the lies they have been told, they can become dangerous. And so, all too often, it seems that defending civilization requires massacres. The important work of maintaining order, justice, and civilization was also high in the minds of the British authorities in India on that day in April 1919 when residents of Amritsar gathered in the Jallianwalla Bagh, a public garden (park) surrounded by walls, for a meeting to protest recent acts of repression by the British colonial authorities. The British military commander, Col. Reginald Dyer, brought his troops to the Jallianwalla Bagh, had them seal off all the entrances, and then ordered them to fire into the crowd. Shooting continued for ten minutes, until soldiers had run out of ammunition. When they were done, about 1,500 people lay dead, and many more were wounded. Dyer stated later that his intention had been to strike terror into the population to teach them not to resist British rule. In fact, it had the opposite effect: the massacre became an important catalyst of the Indian independence movement. South Africa’s apartheid state confronted a similar gathering in Sharpeville in 1960, when residents defying the law requiring them to carry passbooks at all times came to the local police station, without their passbooks, in an act of civil disobedience, to offer themselves up for arrest. The police responded by firing into the crowd, killing 69 people, 10 of them children, and injuring 180 others. Sharpeville marked a turning point in South Africa’s history: it galvanized the anti-apartheid movement within the country and internationally. The date of the massacre, March 21, is now commemorated as the International Day for the Elimination of Racial Discrimination. The horror that is Gaza began in 1948-9, when a quarter of a million Palestinians fled, or were driven from their villages by the forces of the newly formed Israeli state. The villages they left behind were quickly levelled and taken over by Jewish settlers. 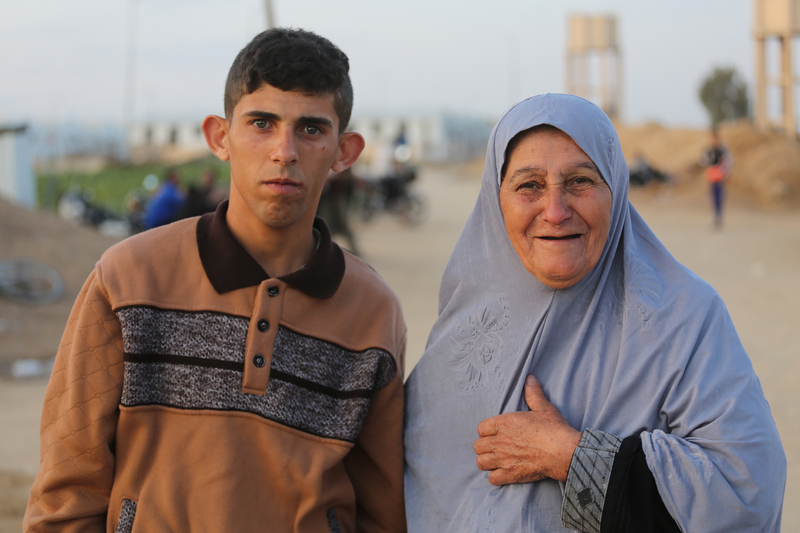 In Gaza, the pain of expulsion was if anything more severe, because many of the refugees in the camps could actually see their land across the dividing line, and watch as the settlers took it over. Israel has kept Gaza under a state of siege since 2006. It has cut off, or placed severe restrictions on, fuel, medicine, food, building materials and other essential supplies, including equipment needed to keep water and sewage systems working. Gaza is essentially a giant prison, a ghetto, one of the most densely populated places on earth. The United Nations has forecast that the infrastructure to keep people alive is facing complete collapse by 2020. 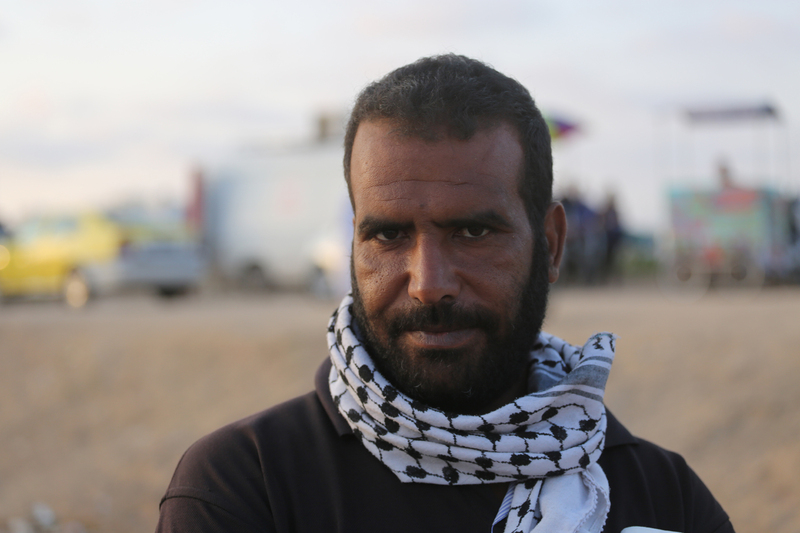 Israeli leaders have repeatedly said that they want to make conditions so bad that the people will be forced to leave. The cruelty and cynicism of this collective punishment (illegal under international law, for what that is worth) is all the more apparent when one considers the simple fact that the people in Gaza cannot leave. There is nowhere for them to go. Except for this: there is somewhere for them to go – the lands they were driven from. And in fact international law states unequivocally that refugees must have the right to return to their place of origin. The problem is that the states which form the so-called “international community” have no intention of requiring Israel to comply with international law. But this reality -- the fact that increasingly desperate people are living in refugee camps that are in many cases within walking distance of the land they were driven from – does a great deal to explain the extraordinary courage with which the unarmed Palestinians of Gaza have faced the heavily armed Israeli soldiers who are shooting at them from raised positions several hundred yards away behind a massive fence. 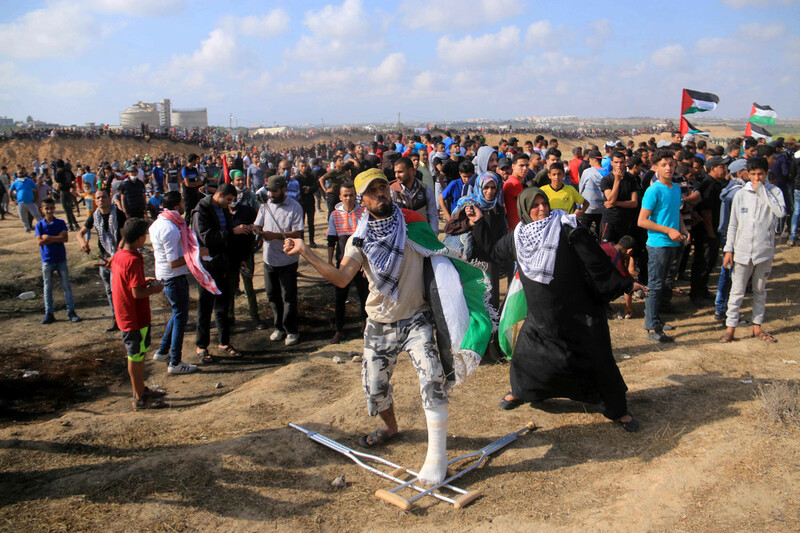 Much of the world seems to have missed the significance, but it is essential to remember that the actions they have been taking are called “The Great March of Return.” The Palestinians are saying that they will never give up their right to return to their lands. 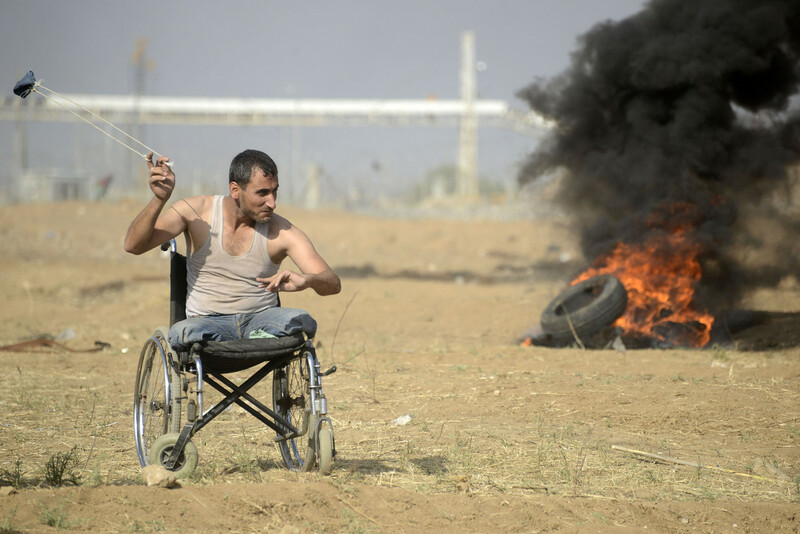 The massacres the world has been witnessing are Israel’s ruthless response to the people it has victimized. More than 120 Palestinians dead, more than 12,000 wounded. No deaths or injuries among the Israeli snipers who have been doing the killing. And still Israel’s propaganda – parroted by much of the ‘mainstream’ media in the West – tells us that Israel is acting in self-defense. Another thing the IDF has told us is that some of the Palestinian protesters have been throwing stones in the direction of the fence. People several hundred meters away, throwing stones! Once upon a time, so the story goes, another brave individual in this land confronted a powerful hostile army with nothing but stones in his hand. He too faced daunting odds, but, in the end, it was David who prevailed against Goliath and his army. But of course, that was different, because David was an Israelite, and therefore a hero, whereas Palestinians are -- Palestinians, and therefore not fully human, let alone heroes. The extreme and widespread racist prejudice against Palestinians is at the root of much of the indifference or hostility that Palestinians and their allies have to fight against in their efforts to win sympathy and support for their cause. People who claim to have the highest moral principles immediately forget those moral principles when Palestinians are involved. Indeed, one of the easiest ways to test whether so-called moral principles are really moral principles is to replace the word ‘Palestinian’ with ‘Jew’ in describing a situation or event. Suppose, for example, that 1.75 million Jews were imprisoned in a ghetto for decades under ever-worsening conditions. Suppose that the occupying power that was imprisoning them systematically destroyed their homes, denied them access to clean water and medicines, and shot them down whenever they gathered to protest. Can we imagine the ‘world community’ standing by and supporting the occupier? In fact, there is a historical parallel to the situation in Gaza. In 1943, the residents of the Warsaw Ghetto rose up against the occupying power, using not merely stones, but guns and grenades. Do we condemn them for resorting to violence under the circumstances they found themselves in? Or do we admire their courage? And how do we judge the soldiers who put down that uprising, and the commanders who gave them their orders? What distinguishes those solders, morally speaking, from the IDF snipers who shoot unarmed protestors, and then are caught on camera cheering their kills? And how do we judge the civilian population of Israel, many of whom openly support and cheer their soldiers as they go about their work of killing Palestinians? And what can we say about the political leaders of other countries, Canada say, who sit down and smile and make deals with officials of the Israeli government at the very moment that the killing is going on? Consider these questions. 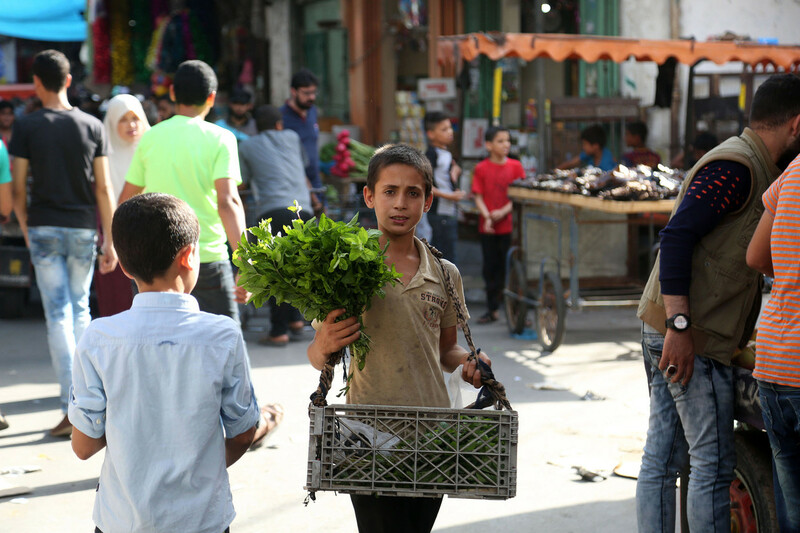 In this issue of Other Voices, we have tried to bring you some voices – and pictures – of Palestinians, in Gaza especially. Consider their courage, listen to their voices, and consider what you can do to help them. As always, we invite you to share this newsletter with your friends. You can forward this email, or send them the link to the Other Voices home page on the Connexions website at www.connexions.org/Media/CxNewsletter.htm. Please consider sharing it via social media. If you'd like to subscribe to receive this newsletter by email every three weeks, please use this form. 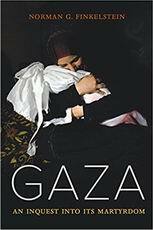 Connexions has a large selection of articles, books, and films on Gaza, covering history, culture, politics, and above all the effects of the Israeli siege and blockade on the lives of the 1.75 million Palestinians imprisoned in Gaza. 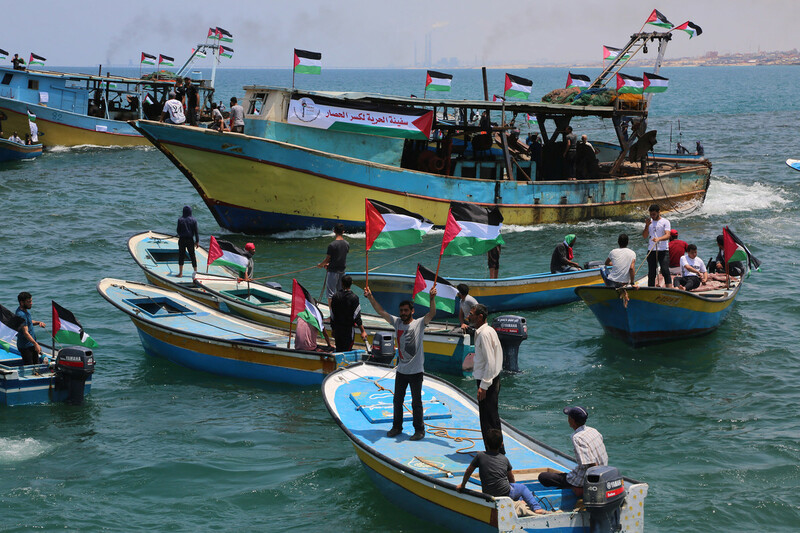 Whether you’re looking for introductory materials or wanting to do in-depth research, see the Gaza page in the Connexions Subject Index here. On May 15, Palestinians marked the ‘Nakba,’ the historic catastrophe of the Palestinian people -- the devastating loss of most of their land, the destruction of their communities, and their subjugation as a people – at the hands of the Zionist settlers who founded the state of Israel on Palestinian land. 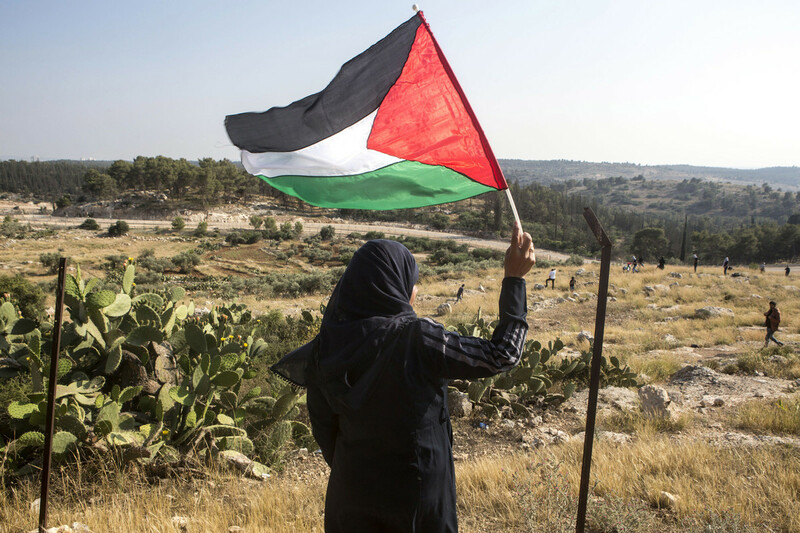 In marking the Nakba – seen as a process of dispossession that is still going on, not just an event that happened 75 years ago – Palestinians express their collective determination to fight for their rights and their survival as a people. One of the most crucial rights that they insist on is the right of Palestinian refugees to return to their homeland. The right of return is enshrined in international law, but Israel, which flouts international law with impunity, refuses to acknowledge this right. It is nonetheless a right Palestinians continue to fight for, none more so than those who have been imprisoned in the Gaza ghetto. Many of the residents of Gaza were driven from homes that were just beyond that fence, on land that is now occupied by Israeli settlers. 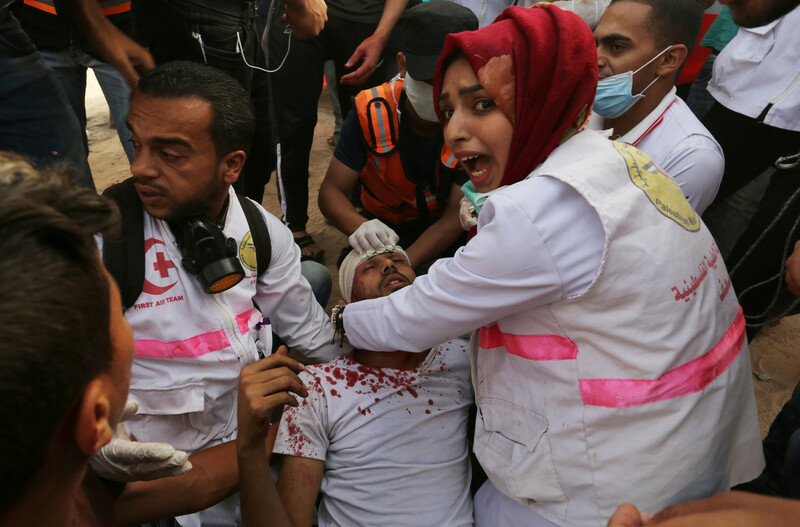 This fact, combined with the horrific conditions that Israel imposes on the people of Gaza, accounts for the extraordinary courage with which the people of Gaza have faced the murderous violence of the Israeli military of those last few weeks. 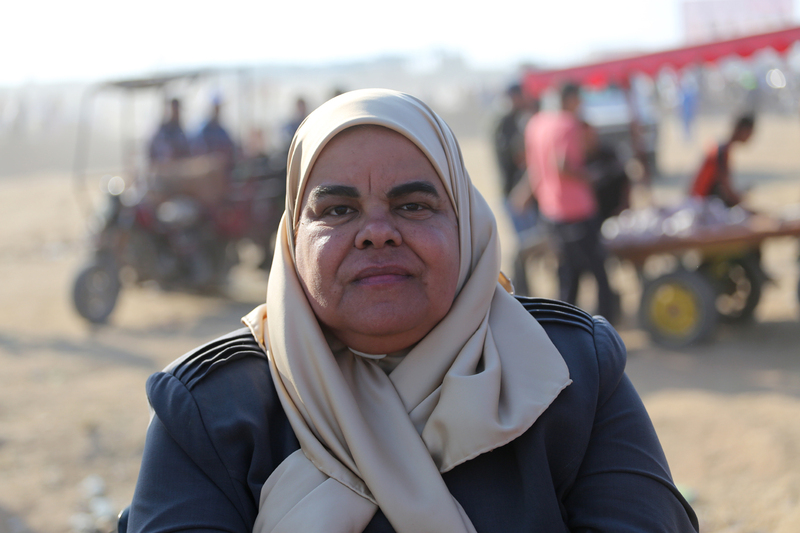 In this feature, some ordinary Palestinians in Gaza explain why they joined the ‘Great March of Return’ despite the danger and the cost. Read more. The Great March of Return, says Jim Kavanagh, is a startling, powerful expression of Palestinian identity and resistance. Palestinians have come out, bravely and unapologetically, to say: “We refuse to remain invisible. We reject any attempt to assign us to the discard pile of history. We will exercise our fundamental right to go home.” They have done this unarmed, in the face of Israel’s use of deadly armed force against targets (children, press, medics) deliberately chosen to demonstrate the Jewish state’s unapologetic determination to force them back into submissive exile by any means necessary. By doing this repeatedly over the last few weeks, these incredibly brave men, women, and children have done more than decades of essays and books to strip the aura of virtue from Zionism that’s befogged Western liberals’ eyes for 70 years. Read more. According to Joseph Massad, the ongoing Palestinian resistance to the present and future Nakba, whether in Israel, the West Bank (including Jerusalem), Gaza, or in exile, persists despite all Israel’s efforts to crush it. The contradictions within the settler colony and the international atmosphere have made it much more difficult for Israel to re-embark on illegal mass expulsion of the population. As the Nakba must involve the conquest of the land and the expulsion of the population, then an array of obstacles now stands in Israel’s way. Domestically, Palestinian citizens of Israel are now mobilized against the Jewishness and colonialist nature of the state and are demanding the dismantlement of its many racist laws. The resistance in Gaza has not been weakened despite Israel’s monstrous ongoing invasions and murder of thousands since 2005, when Israel withdrew its settlers and moved its occupation forces from the interior to the perimeter of Gaza, where they enforce a brutal siege. If the Great March of Return of the last several weeks is any indication, the will of the Palestinian people remains steadfast and unwavering. Read more. Ramzy Baroud writes: “The main theme of all my talks in various cultural, academic and media platforms was the pressing need to refocus the discussion on Palestine on the struggle, aspirations and history of the Palestinian people. But, interacting with hundreds of people and being exposed to multiple media environments in both mainstream and alternative media, I also learned much about the changing political mood on Palestine in the western world.” Read more. Jewish Israelis celebrate, and governments around the world stand by passively, as Israel massacres Palestinians in Gaza. Inaction by Western governments, says Jonathan Cook, ensures that Israel will feel emboldened to commit further massacres in the future. Read more. Why do these terrible outbreaks of violence keep happening? Questions and answers. Written during the Israeli attack on Gaza in July 2014, but the story remains essentially the same four years later. Read more. The Israeli state and its defenders are increasingly attempting to silence critics because they are losing the battle for public opinion. Read more. Ali Abunimah takes a comprehensive look at the shifting tides of the politics of Palestine and the Israelis in a neoliberal world -- and makes a compelling and surprising case for why the Palestine solidarity movement just might win. 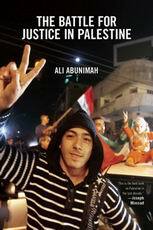 He provides an effective strategy for advancing the struggle for a just, single-state solution in Palestine. Read more. The Gaza Strip is among the most densely populated places in the world. More than two-thirds of its inhabitants are refugees, and more than half are under eighteen years of age. 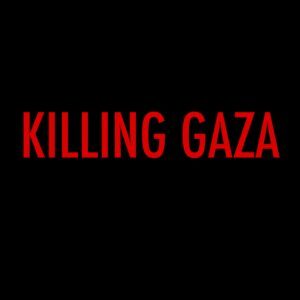 Since 2004, Israel has launched eight devastating “operations” against Gaza’s largely defenseless population. Thousands have perished, and tens of thousands have been left homeless. In the meantime, Israel has subjected Gaza to a merciless illegal blockade. What has befallen Gaza is a man-made humanitarian disaster. Based on scores of human rights reports, Norman G. Finkelstein's new book presents a meticulously researched inquest into Gaza’s martyrdom. He shows that although Israel has justified its assaults in the name of self-defense, in fact these actions constituted flagrant violations of international law. Read more. A documentary film about life under siege. Independent journalists Max Blumenthal and Dan Cohen documented Israel’s 2014 assault on Gaza during the war, and chronicled its horrific aftermath. As they waded through the rubble of Gaza’s destroyed border regions, they turned a camera onto the survivors of the slaughter and let them speak for themselves. Dan returned, week after week, to capture on film the daily struggles of the people of Gaza as they suffered through one of the worst winters in recorded history, and then weathered the sweltering summer heat without electricity and -- in many cases -- without homes. While giving voice to the pain of a people under siege, Cohen and Blumenthal also highlighted Gazans’ inspiring acts of creative resistance, from painting to break-dancing to literature, that allow them maintain their humanity in the face of deprivation and war. 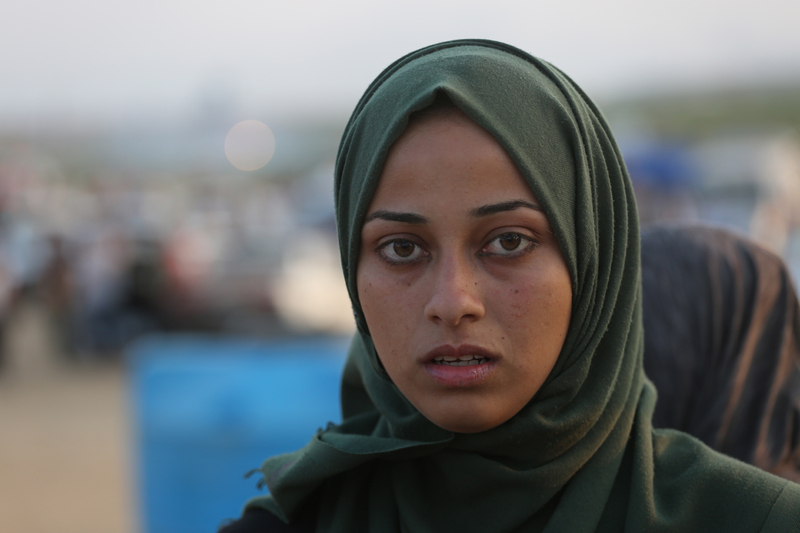 Yet this film is much more than a documentary about Palestinian resilience and suffering. It is a chilling visual document of war crimes committed by the Israeli military, featuring direct testimony and evidence from the survivors. Find out more. 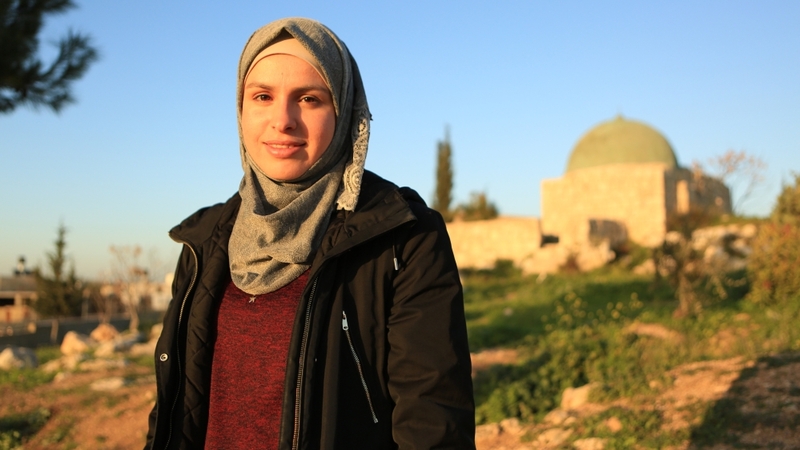 Women share their stories of how they peacefully protested during both Intifadas and challenged Israel's occupation. Read more. Why was Edelman ostracized by Israel and Zionist organizations? 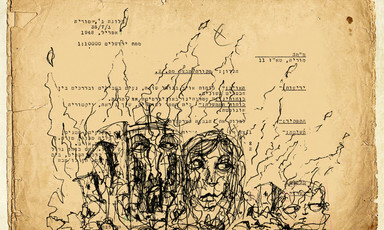 Because Edelman was, and remained, a firm anti-Zionist, who even went to far as to express solidarity with the Palestinian resistance organizations, addressing a letter to them during the second intifada in 2002, using terms that showed that he saw their struggle as comparable to the struggle of Jews during the Warsaw Ghetto Uprising. Read more in Sydney Nestel’s blog here. The famous – and by now overused – expression that history is written by the victors can be countered in many ways, says Israeli historian Ilan Pappe. One way is by unpacking the victors’ publications in order to expose the lies, fabrications and misrepresentations, as well as their less conscious actions. 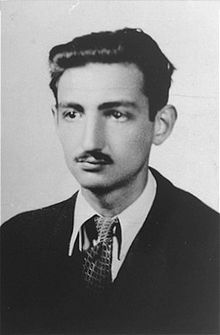 A re-reading of these open sources about the Nakba, mostly written by Israelis themselves, unlocks fresh historiographical perspectives on the big picture of that period – while declassified documents allow us to see that picture in a higher resolution. Rereading these open sources, especially in tandem with the numerous oral histories of the Nakba, reveals the barbarism and dehumanization that accompanied the catastrophe. The barbarism is common to settler communities in the formative years of their colonization projects and can sometimes be obscured by the dry and evasive language of military and political documents. Read more. South Africa sentences Nelson Mandela to life imprisonment. Nelson Mandela, the leader of the African National Congress’s armed wing, Umkhonto we Sizwe ("Spear of the Nation") is sentenced to life imprisonment by South Africa’s apartheid regime. Mandela is denounced as a terrorist because of his willingness to resort to armed struggle in a situation where peaceful protest against apartheid had been made impossible. Thirty years later Mandela is elected President in South Africa’s first multi-racial election, and world leaders and journalists who had previously scorned him as a terrorist declared that they had always supported him. The New York Times publishes the first excerpts from the Pentagon Papers, provided to the newspaper by former Pentagon analyst Daniel Ellsberg and his associate Anthony Russo. In the late 1960s, while working as a military analyst, Ellsberg becomes increasingly disturbed by the U.S. war against Vietnam, and by the way the truth about the nature of the war is being kept from the public. He eventually decides to copy the secret documents he has access to and make them available to the press. The papers reveal that the government has been systematically lying about the conduct and state of the war. South African police open fire on black students in Soweto who are peacefully protesting a law requiring them to learn Afrikaans, the language of the small white majority presiding over the racist regime known as apartheid. Over 150 are killed and hundreds more are injured in the shooting. Join Chen Brill Egri, a campaigner from Amnesty International Israel to hear about Amnesty's work in Israel including its work with refugees and human rights in the Occupied Palestinian Territories. Chen has been activist against the occupation and other human rights violations in Israel for many years. Fifty Years and Counting: Is the Israeli Occupation Sustainable? The Israeli occupation of the Palestinian territory is currently the longest in the world, at 50 years and counting. Amidst the gloom, is there any room for optimism for a sustainable and just peace accord between Israel and Palestine? As part of Adler University's Social Justice Beyond Borders Series, we are inviting Amnesty International to discuss how Canadian companies are impacting human rights abroad, including indigenous rights, access to clean water, displacement, sexualized and gender based violence, and more. Since Sri Lanka declared its war on the Liberation Tamil Tigers of Eelam over in 2009, coordinated mass attacks by Sinhalese Buddhists on Muslims have been on the rise. Perpetrators have included monks and the police. How do these ongoing attacks flow from the historic anti-Muslim violence of 1915, the island's first reported ethnic riots? How does this new violence reflect or diverge from previous anti-Tamil riots? What do these attacks tell us about Sinhala Buddhist majoritarianism? How has the global War on Terror shaped responses to these attacks? What might this political moment in Sri Lanka teach us about the neo-Nazi rise in Canada? Importantly: how have communities organized? How have people protected each other? What does friendship look like in moments of acute violence? Who and what is community? Would Tamil-Muslim solidarity be useful in Toronto or in Sri Lanka? What would it look like? What has it looked like?